Below, you will find instructions to immediately access your course and to set up your online learning portal. To login to your course on Schoology easily, please bookmark the course login page after you have completed your account setup and remember to also save your login details. To learn more about navigating and using the online course portal please watch the video within the folder ‘How to use the Schoology Learning Management System (LMS)’ at the top of your course page once you have successfully registered your account. Select the folder to enter and access the video. Copyright: This course is copyright of Mel Foote and TBST training. Logins and use of this course is limited to one fee paying student and may not be shared. This will be confirmed by IP access logs and user accounts in Schoology. This course is not to be resold, copied or distributed. Breach of any of our copyright will result in legal action. We use an online learning platform called Schoology.If you don’t already have a Schoology account, go to https://app.schoology.com/register.php and click Student. Fill out the form with your information and then click Register to complete. When you use a course access code to create an account, you are automatically enrolled in the course. To join additional courses in Schoology, click on the Join link in the Courses dropdown menu at the top of the page. You will use this function only if you purchase more courses. 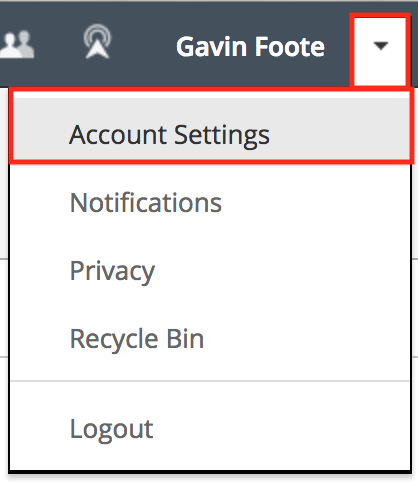 To change your account and privacy settings choose the dropdown arrow (top right of screen in-between the ‘?’ Help menu and your User Name) and then select ‘Account Settings’. For ease of access to your course/s after login, navigate to the bottom of the ’Account Settings’ page and selecting ‘Set Home Page To: ‘Course Dashboard’. Now every time you log in, your available courses will appear on your courses homepage, instead of ‘Recent Activity’.